How much do Wizards suites cost? 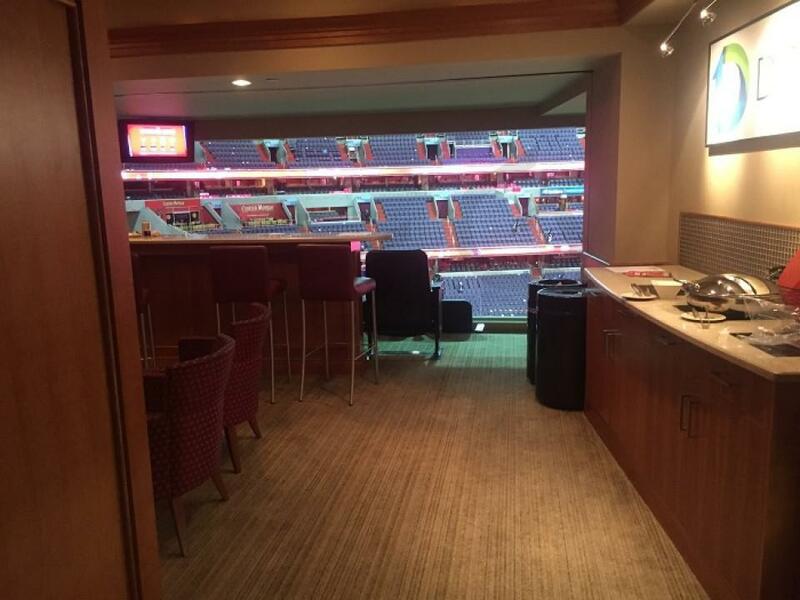 Washington Wizards private suite rentals range in price from $2,250-$4,000. Suite pricing will vary based on opponent, day of the week, and suite size/level/location. The Washington Wizards will look to emerge as a top team in the Eastern Conference after a disappointing 2017-18 season. John Wall and Bradley Beal remain one of the best backcourt duos in the NBA, and now they’ll have a new big man to catch lobs and run the pick and roll - Dwight Howard. John Wall is one of the most exciting stars in the NBA. His flashy passes, elite ball handling, and lockdown defense make Wall a pleasure to watch. Where John Wall truly excels is in transition, wearing down defenses and making the crowd jump off its feet. Bradley Beal is coming off an All-Star season in which he carried the team for much of the year while Wall nursed an injury. Beal’s smooth shooting stroke and improved driving ability make him an elite scoring guard for the Wizards. The dynamic playmaking of Wall and shooting of Beal is what defines the Wizards. Forward Otto Porter Jr. has taken significant strides every year, which he plans to continue entering his 6th professional season. Porter’s slashing ability and incredible efficiency is what separates him from other small forwards. Last year he shot over 50% from the field and over 44% from three point range. Markieff Morris and Kelly Oubre Jr. are also key contributors at the forward position for head coach Scott Brooks. The Wizards off-season was mainly defined by two crucial moves. First, Washington traded center Marcin Gortat to the Clippers for Austin Rivers. Rivers is coming off a surprisingly solid season in which he scored over 15 points a game. He will be a great backup to Wall and Beal at both guard positions, serving as a credible option in case either of them gets hurt. To replace Gortat, the Wizards signed future Hall of Famer Dwight Howard. Washington needs Howard to put his character issues behind him and focus on helping the Wizards win by doing what he does best - interior defense, rebounding, and finishing off the pick and roll. If the chemistry with Wall and Beal is there, the addition of Dwight Howard could prove huge for the Wizards in 2018-19. Watch John Wall, Bradley Beal, Dwight Howard, and the rest of the Washington Wizards live from a Capital One Arena luxury suite. With Lower Level suites, Lexus Level suites, and Club Level suites, there are plenty of options to choose from. Capital One Arena suites include HDTVs, upscale furnishings, and excellent views of the court. 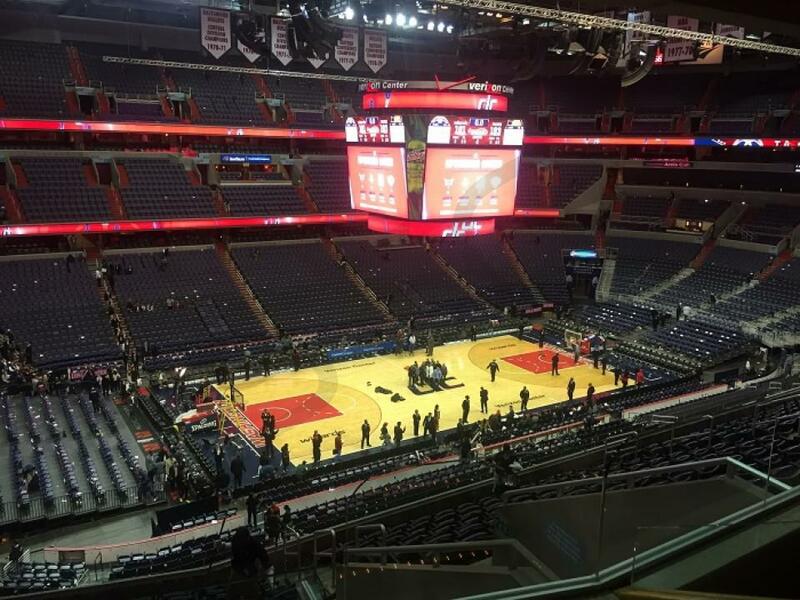 Whether treating business clients, government officials, or simply family and friends, Capital One Arena suites are the best way to watch the Washington Wizards. While Washington Wizards won’t be moving into a new home, it will be getting a new name. What was the Verizon Center is now called the Capital One Arena. Whether you have a small or large group, the Capital One Arena offers a couple of suite options that may suit you well. The 300 Level suites will include 18 tickets, while the 200 level suites can hold up to 28 guests. Wizards suites can be fully catered in advance to your event at an additional cost. Guests will receive private entry into the Capital One Arena and have exclusive access to VIP Clubs inside. Suite amenities will include premium fixed seating on the suite balcony, multiple HDTVs to view the Wizards and a suite attendant to assist your group on game day. The Wizards are led by John Wall, Bradley Beal and Otto Porter Jr. The Wizards made sure Wall is going to be a fixture in their organization for years to come as they agreed to a massive 4-year extension. The Eastern Conference will be up for grabs and the Wizards will be in the mix once again. Head coach Scott Brooks will lean on his core players a lot but he has plenty of depth in Markieff Morris, Marcin Gortat and Kelly Oubre. The Washington Wizards had a terrific bounceback season in the nation's capitol, making it the conference semi finals. While the Wizards ultimately lost to the Boston Celtics in a thrilling 7-game series, this team has a lot to look forward to going into the 2017-18 season. John Wall is one of the three best players in the eastern conference. He's the undisputed leader of this team, and one of the most dynamic point guards in the association. His backcourt running mate, Bradley Beal, is hoping to build off of a career year and make his first all star team. Sharp shooting wing Otto Porter Jr. is coming back after signing a max contract, and Markieff Morris and Marcin Gortat complete the starting five. The goal for this team should be to reach the conference finals, at the very least. 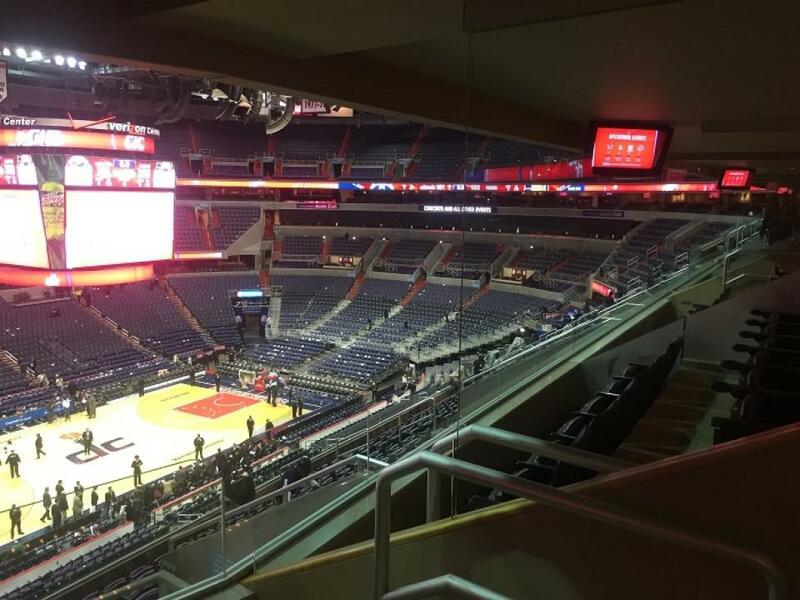 The Capital One Arena (formerly Verizon Center) offers Wizards fans a VIP experience from a private luxury suite. 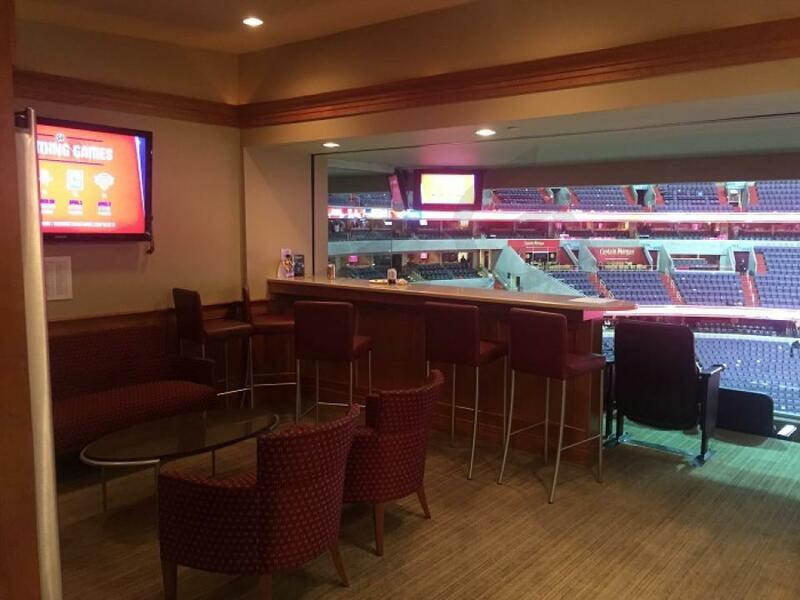 Whether it’s a corporate event or an outing with friends and family, luxury suites at the Verizon Center are a perfect setting for any occasion. Guests can relax in theater-style seats and be waited on by a dedicated suite attendant. A Wizards suite will also give fans premium in-suite catering options to choose from, HDTVs so you never miss a replay and exclusive access to the bars and restaurants on the suite level. The Capital One Arena will also host the Amy Schumer Tour, Adele and the Bad Boy Reunion. The Washington Wizards reached the Eastern Conference semifinals last year, that’s the first time since 2008 that the Wizards have made the playoffs. The Wizards have formed one of the best backcourt duos in the NBA in John Wall and Bradley Beal. This season the team signed veterans Paul Pierce and DeJuan Blair to help guide this young squad. A combination of experience and youth may be just what this team needs to take over the Southeast Division. The Wizards haven’t been to the NBA Finals since 1979 and with the Miami Heat losing Lebron James, the Eastern Conference is wide open. 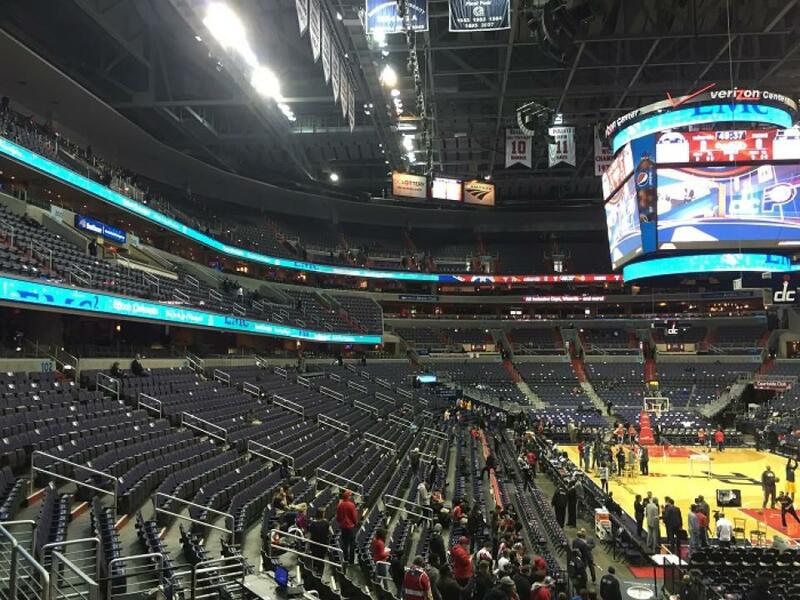 The Verizon Center offers Wizards fans a VIP experience from a private luxury suite. Whether it’s a corporate event or an outing with friends and family, luxury suites at the Verizon Center are a perfect setting for any occasion. Guests can relax in theater-style seats and be waited on by a dedicated suite attendant. 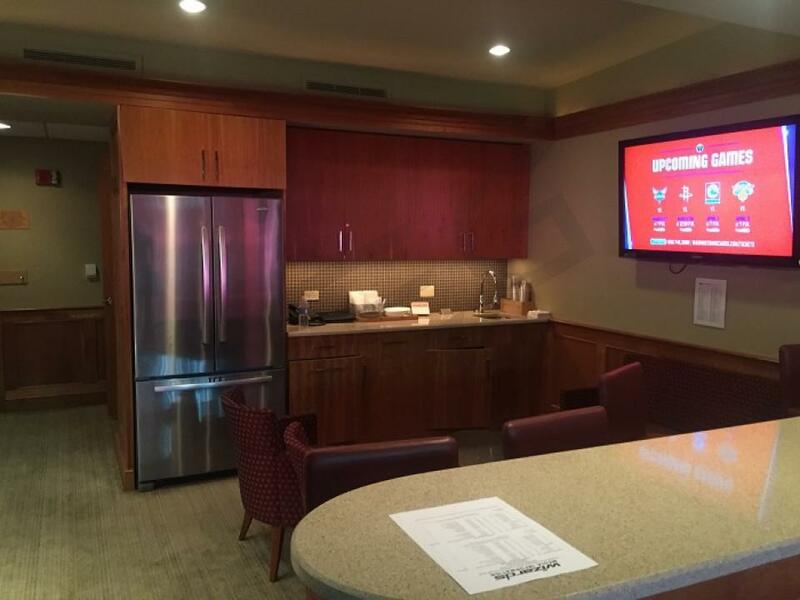 A Wizards suite will also give fans premium in-suite catering options to choose from, HDTVs so you never miss a replay and exclusive access to the bars and restaurants on the suite level. The Washington Wizards boast a young squad led by point guard John Wall. Wall and shooting guard Bradley Beal are one of the league’s top scoring backcourts. The Wizards have put themselves in playoff contention, it would be the first time the Wizards made the playoffs since the 2007-2008 season. Suite Experience Group is offering the chance to watch the Wizards make a run for the post-season from a private luxury box. Whether it’s a corporate event or an outing with friends and family, luxury suites at the Verizon Center can accommodate up to 24 guests. Guests can relax in theater-style seats and be waited on by a dedicated suite attendant. 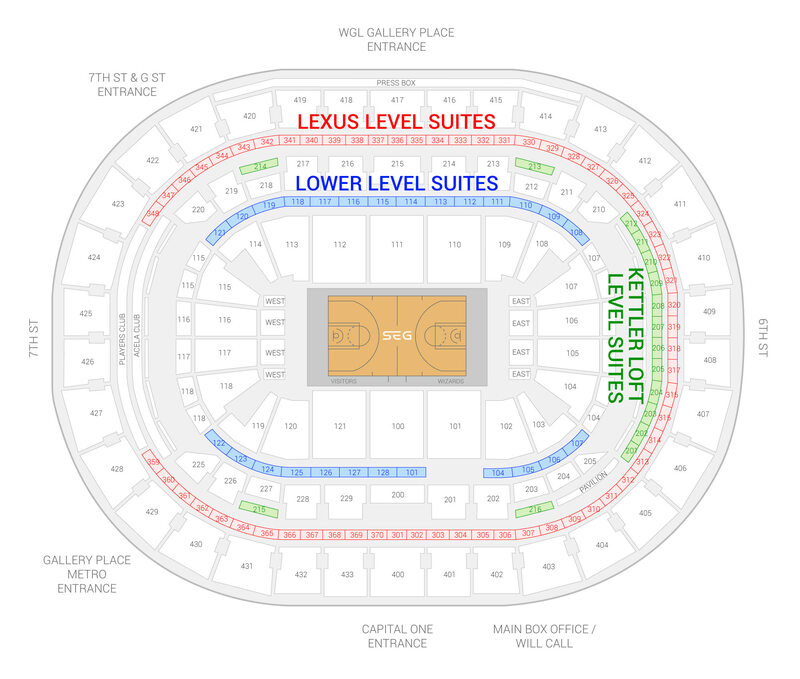 The seating chart below shows where the Washington Wizards suites at Capital One Arena are located.